Rhythm Keeper, Volume I Rhythm Keeper UK Edition Rhythm Keeper Deutsch Edition Order Today! A Wild Story Philosophy Sustainability Our Team Say Hello! 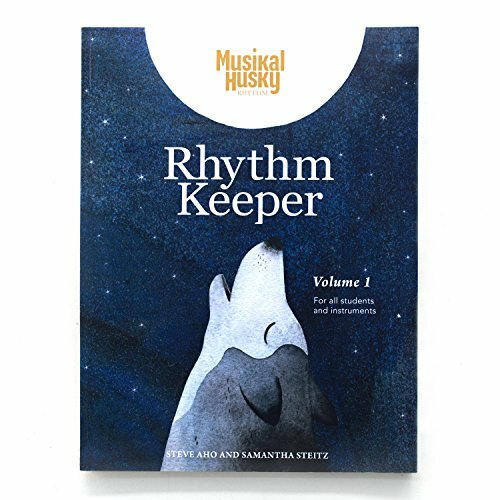 Learn & Listen Musikal Husky for Parents Musikal Husky for Music Teachers The Musikal Husky Journal Everyday Listening Playlists Musician Wellness Musikal Journeys Explore Rhythm Keeper, Volume I Rhythm Keeper UK Edition Rhythm Keeper Deutsch Edition Order Today! Why? A Wild Story Philosophy Sustainability Our Team Say Hello! The crazy part of this whole endeavor is that it was a total accident. Steve Aho is a percussionist, a notation expert and a music director. I am a holistic music educator and classical pianist. Neither of us went to business school or set out in life to start a publishing company, create books, or anything of the sort. So how did this happen? Back in California, I was teaching both private lessons and group class each week. Luckily, there are many useful materials to use during such classes. Among them, I would point toward Michiko Yurko’s wonderful set of games & resources, Music Mind Games. Ms. Yurko developed a language of rhythm reading in which children apply words to rhythms. For instance, 4 sixteenth notes is “huckleberry.” Better yet, there is a physical hand gesture (4 fingers stretched out) that children learn to make upon seeing this pattern. The benefits of her methodology are numerous as they connect movement, language, instant pattern recognition, and use of games seamlessly. While I still love MMG, the need for a more mathematically focused counting system arose as my students began to progress into more advanced repertoire. So, like any devoted teacher, I tried to find the best resources to teach my students. Unfortunately, many of the rhythm reading books I found felt cluttered, difficult to read, and dated. Many actually overwhelmed me (the TEACHER!) because there was simply a lack of clear explanations and instructions. Most books simply provide exercises (which is great) but rarely break down how to actually count the rhythmic patterns. The resources that do, often fail to address the critical importance of subdivision, where we layer notes over a steady baseline. In essence, most books tell you what to do, but not how to do it. This is a big pet-peeve of mine since it's our job, as teachers, to break things down (a million times if need be!). Since we couldn’t find a suitable book to use with my students, I began to ask Steve to compose handouts for my students. As well all know, children are sponges of information, and we worked rapidly through these week by week. What I didn’t anticipate is the changes that would occur in their piano playing. Their playing was stronger, sight-reading significantly easier (especially since I always instruct students to count out loud as they sight-read), and memory more cemented. It was incredible. At this point I began to realize that we had to share these resources. The method of actual counting is nothing that we created, per se. However, what we do hope is to standardize this way of counting. What we’ve found is that each and every teacher counts differently. While there’s no harm in this, the Rhythm Keeper method will be a welcome addition to studios where teachers perhaps weren’t trained in rhythm pedagogy (and really, I know not a single instrument teacher who is trained in rhythm pedagogy). We really have Steve to thank for his 30 years of experience with this subject! beautiful cover illustration by Maggie Chiang. The list of changes since this version is in the hundreds of thousands. Really. However, I'd love to share the most notable additions since this first version. The Count & Clap Mural Map! Our goal is to break down every step so it is digestible. With this no-stress approach, progress becomes not only inevitable, but fun. After witnessing my students’ musicianship improve so greatly just from adding “Count & Clap” time to our lessons, I was so passionate about this subject that I wanted to name the series “Rhythm Reading Revolution!” After all, I thought (and still do) that it will be a major shift in pedagogical thinking for all teachers who adopt this rhythm first philosophy. However, after many meetings with the Musikal Husky team, we decided to change the name to “Rhythm Keeper.” Rhythm Keeper is a beautiful name for so many reasons. First, the book, itself, holds rhythms and the secrets to understanding them. Then there’s us, the rhythm keepers. We keep rhythm in our heartbeats, we create rhythm when we skip or walk, we see rhythm in the tides, the rising of the sun and the setting of the moon. If we happen to be of the musical sort, we must become conscientious rhythm keepers. If we do not mindfully become rhythm keepers, the music immediately suffers. To my ear, it feels unfocused, cluttered, and “off.” If we do develop our inborn talents as rhythm keepers through mindful study, the music feels clear and lovely. We are inherently rhythm keepers, but we must develop the skill of keeping rhythm. Finally, I love this name because, as Meik Wiking points out, “What will bring us forward is a spirit of trust and cooperation and the realization that we are each other's keepers." There is something sacred, I think, about being not only each other's keepers, but rhythm keeper; that which is most our own, but also wonderfully able to be shared, felt together, and a force of pure goodness when it comes to learning, performing and experiencing music. 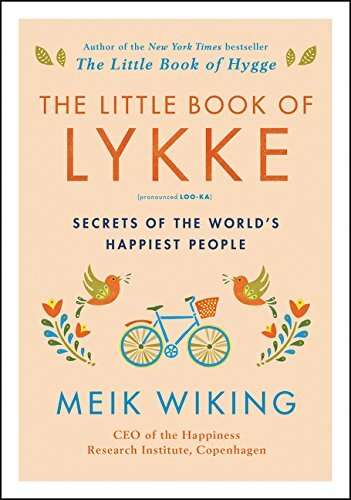 If you haven't read Meik Wiking's book yet, it's fantastic! Just click the picture to buy on Amazon! © 2019 All Musical Creatures, LLC. All Rights Reserved.